Pilot Media combines a legacy of commitment to community, ethics and strong journalism with the strengths of new technologies and experienced thinkers. Our mission is to inform, inspire and improve the communities in which we serve. Our products serve consumers and businesses from eastern North Carolina through Hampton Roads, Virginia, and west to Richmond. The Virginian-Pilot is the #1 source of news, information, entertainment and advertising in Southeast Virginia and northeastern North Carolina. 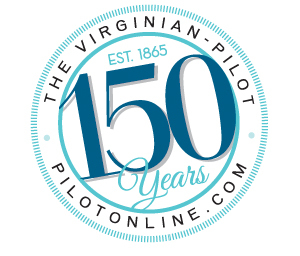 Founded in 1865, The Pilot is a Pulitzer-prize-winning metro serving almost 300,000 readers daily and over 400,000 on Sunday*, has been named "best paper in the state of Virginia" for 28 of the past 35 years. Every day, we put news and information in the hands of our readers, empowering them to make their lives better as a 24/7, multi-platform media company. In 1993, Pilot Media launched one of the first newspaper websites in the country, PilotOnline.com, and has grown that audience to more than 100,000 daily unique visitors. PilotOnline.com features news and opinion in the major categories of Local News, Nation/World News, Business, Sports and Military. HamptonRoads.com is a regional guide to Entertainment, Community and Life in southeastern Virginia. Our new city websites provide our communities in-depth local news, information, and activites specific to Virginia Beach (VirginiaBeachBeacon.com), Chesapeake (ChesapeakeClipper.com), Suffolk (SuffolkSunVA.com), Norfolk (NorfolkCompass.com), and Portsmouth (PortsmouthCurrents.com). Our Targeted Media group is comprised of the leading niche publications and sites, including Inside Business and InsideBiz.com, The Flagship and NorfolkNavyFlagship.com, TidewaterParent.com, and Style Weekly and StyleWeekly.com. View all of Pilot Media's targeted publications.